This year’s SEMA (Speciality Equipment Market Association) Show will feature a TPMS seminar. TPMS experts from all aspects of TPMS service will participate in a panel and cover various TPMS related topics. If you plan on attending SEMA, be sure to check out this seminar. We guarantee that you’ll walk away having gained some invaluable knowledge. Jean-Christophe Deniau, Ph.D., Continental Automotive Systems US, Inc.
Steven Landis, Continental Automotive Systems US, Inc.
Mark Becker, Pacific Manufacturing Ohio Inc.
A TPMS malfunction has prompted Maserati to recall a total of 458 of its 2012 Quattroporte, Granturismo, Grandcabrio, and Granturismo MC vehicles. The NHTSA claims that this TPMS malfunction is due to a software error, in which the vehicles tire pressure monitoring system may fail to notify the driver of low pressure in one or more tires. If you believe your vehicle has been affected by this TPMS malfunction, please contact your local Maserati dealer to schedule an appointment. Ready to Take on Rain Slicked Roads? Rain season is here. Are you ready to navigate rain slicked pavement? 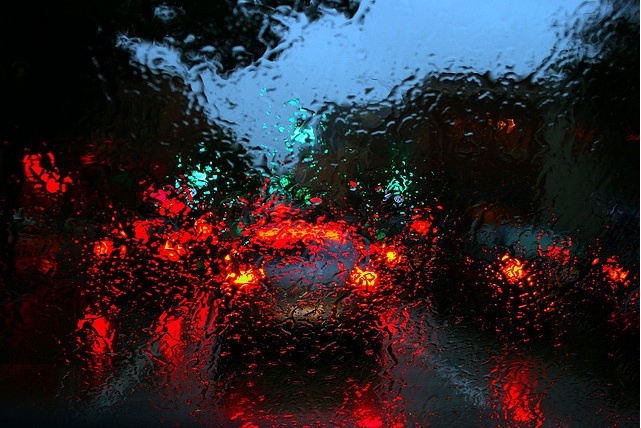 The chances of getting into an accident greatly increase when driving on wet pavement. Various factors are affected by under or overinflated tires – steering, handling, traction, comfort, and overall vehicle control (all of which are vital when driving in rainy conditions). A TPMS issue has prompted the recall of Australian Aston Martin V12 Vantage models sold between August 1, 2009 to October 1, 2012. TPMSDirect offers the latest in TPMS technology, industry news, and technical know-how. Please email us with questions at customer.service@tpmsdirect.com or give us a call at (714) 482-3996. Some 300 2013 Volvo S80 sedans and XC70 wagons are being recalled by Volvo due to TPMS software errors. What happens is that the tire pressure monitoring system would display “TPMS Service Required” on the vehicle dash even if the pressure in the tires are inflated to vehicle specifications. This error can pose a real problem to drivers since it prevents the TPMS system from accurately alerting the driver if one or more tires is actually underinflated. Schrader has announced its new solution to heavy-duty vehicle tire pressure monitoring: the Off-The-Road (OTR) tire pressure monitoring system. This TPMS system is designed to measure and transmit critical tire performance data in heavy-duty machinery such as: port vehicles, construction vehicles, earthmoving vehicles, and mining vehicles. Tire pressure and temperature data is transmitted to both the drivers and fleet managers, allowing for better on-site operational performance and critical decision making. Properly inflated tires can decrease tread wear, reduce fuel consumption, optimize vehicle performance, and most importantly, improve road safety. Visit www.TPMSDIRECT.com for the latest in TPMS technology, industry news, and know-how. TPMSDirect takes the headache out of TPMS.